I started Stylish Bump on Instagram, my favorite social medium, during my third pregnancy last year because I couldn't find a page dedicated to what people, including celebrities, wore when pregnant. I wanted to read a social media ‘magazine’ that would show me what people wore, where I could buy it, how I could copy the look, ideas for my nursery and so on… and I couldn’t find one, so I started one! That eventually developed into the blog, where I combine my love of homewares and interiors, celebrities, fashion, cooking, babies and of course my family. 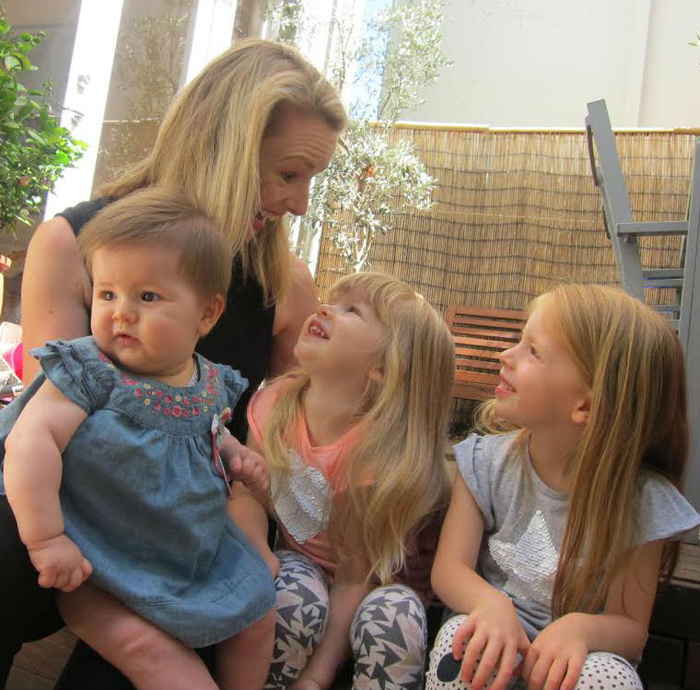 I’m a very lucky mum of three girls, Ava Jane, 4, Sasha Grace 3 and Marnie Kate 6 months. I'm a late bloomer in almost every facet of my life, and though I always assumed I wanted kids, it didn't really 'hit' me 'til I was in my mid 30s that 'Ooh, better get a wriggle on!'. Consequently I've had three children in four years - all girls - and had pretty good pregnancies with only first trimester morning sickness. My easiest pregnancy by far was my first, as most mums will attest to. I could nap on weekends if I was tired, I could put my feet up as soon as I got home from work, or go to bed at 7:30pm! Despite all the potato cakes (for morning sickness!) everyone gushed over how wonderful I looked, how excited I must be. We had parties and BBQs and baby-showers... and they were all about ME! Such a wonderful, exciting time your first pregnancy. It's a real ego boost being pregnant, and I completely relished every moment. And third? Well! People don't even ASK about you anymore. In fact, I don't think some people even noticed I was pregnant until well into my third trimester. And not because I wasn't showing - I was. It's just not about YOU anymore. But that's OK. My third pregnancy was definitely the most tiring. Exhausting even. I had leg cramps, my lower back was constantly sore and I was tired. Really, really tired. I picked up every cold going around and just didn't have time to rest. A two year old and a three year old don't care that you're pregnant, or sick; if they're sick, they want Mummy and they want to be carried and rocked. They don't care if you're 37 weeks pregnant and haven't had a decent night's sleep in years. Motherhood! All my babies were natural births and pain free labors. Just kidding - but, they were extremely quick ones! (Collectively, I've had all my girls in 8 hours - TOTAL!) My second daughter was born in 75 minutes. I. KNOW! I'm lucky I made it to the delivery ward in time. So, compared to a lot of women, I've had very easy pregnancies and labors. I love being pregnant - the clothes, the hormones, the feeling of a little body moving around inside you... We women really are so lucky. I love sharing my maternity wear (and non-maternity wear) finds, beautiful images of nurseries, photos of celebrities pregnant, my family, my pregnancy and life as a parent with my followers on Stylish Bump. And what started as something that I wanted to read - and enjoyed putting together - has grown to now more than 17,000 followers in 10 months, so it's really exciting. 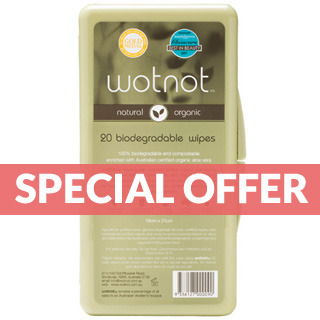 As a special treat for our wonderful customers receive these bidegradable wipes in this sleek travel case with all orders over $150 value this weekend.